Aesthetic Medical Educators Training (AMET) offers specialized medical aesthetics training for nurses and physicians in the areas of botulinum toxin/dermal filler, sclerotherapy, microdermabrasion/chemical peels, advanced BOTOX/dermal filler and marketing webinars. 7500+ trained in 50 states since 2003. 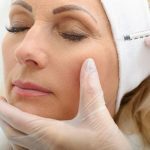 This 8-hour Botox and filler certification class is an all-inclusive medical aesthetic training for nurses and physicians. The course equips participants with certification for botulinum toxin and injectable dermal fillers. This all-inclusive one-day program provides attendees with certification in Sclerotherapy. Included in the morning session is a didactic portion, where participants learn the different injection techniques for Sclerotherapy. This one-day medical aesthetics training for nurses and physicians is designed for the aesthetician that wants to include microdermabrasion and chemical peels into the array of services offered to their clients. Private training is available for you and your staff. We offer the ability for your package to be custom built for your specifications to incorporate a variety of cosmetic aesthetic procedures. Aesthetic Medical Educators Training has designed thorough marketing webinars to assist in medical aesthetics training for nurses and physicians. We help participants set-up and market their aesthetic practice. We offer a wide variety of comprehensive medical aesthetics training for nurses and physicians. Register for our Botox seminar or Sclerotherapy training today. Since 2003, Aesthetic Medical Educators Training has given over 7,500 licensed professions in all 50 states the tools necessary to excel in an aesthetic practice. We are one of the top providers of medical aesthetic training for licensed healthcare professionals including nurses, physicians, dentists. Our education courses provide physicians, physicians assistants, nurses and nurse practitioners with the continuing education they need. All medical aesthetics courses include extensive hands-on training so that you can understand all parts of a cosmetic treatment and immediately incorporate the aesthetic procedures into your practice. Our medical aesthetic training for nurses and physicians class size is intentionally kept small (no more than 12 participants) to allow for personal interactions between attendees and the instructor, as well as to provide participants ample opportunity to network with their peers. Our classes provide medical professionals the opportunity to learn new techniques and skills, alongside expert faculty, to advance their practice and offering. Whether you sign up for our botox seminar or our microdermabrasion and chemical peel training, you will leave feeling confident in your abilities. As an added benefit, seminar participants can have their name listed in our approved provider database. Upon completion of each course, participants are awarded Certificates of Training. Start Your Aesthetic Medical Training Today!